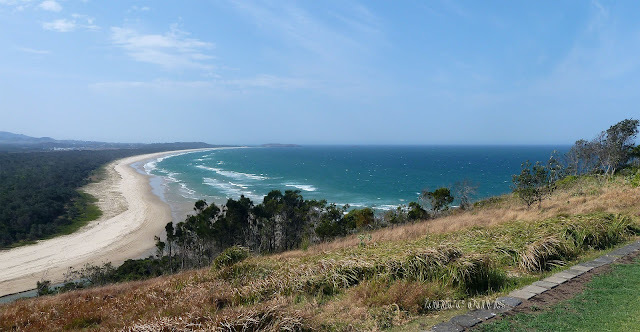 thoughts & happenings: In and around Coffs Harbour, New South Wales. Winter 2017 we went up one of the many hills at Coffs Harbour in New South wales to take a few photos. More beautiful beaches. The weather was warm at 30 deg C and above whilst we were there, warmer than the year before. 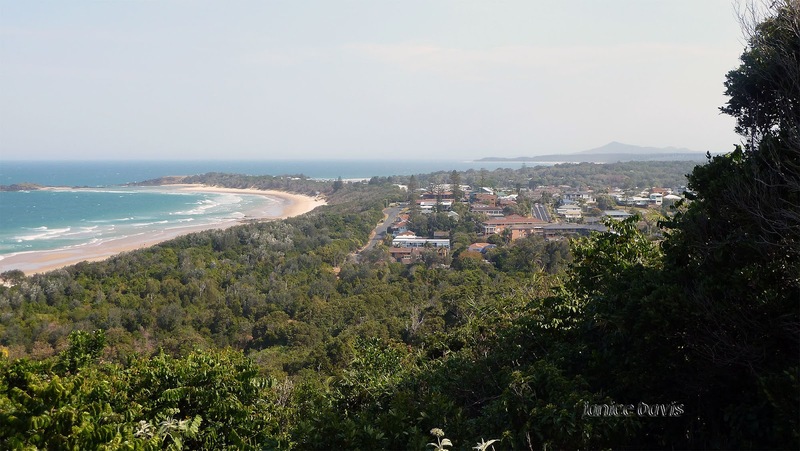 Both the above and below photos are of Sawtell just below Coffs Harbour. Below you can just see the horses in the water. No pictures of you sitting on the beach? Wazamatta with you? Terrific Photos over more amazing coastline! Beautiful coastline there and in other places too. Thirty degrees is already getting too hot! When I was young I used to ride a horse along the beach during our holidays. I remember how much the horses loved it. They seem to Rosemary, good for their legs and all muscles. I am with David. 30 degrees in winter? Bleah. The beach and the surrounds are lovelythough. Unusual warm weather in Coffs Harbour last year, but we loved it. Tiempo perfecto para estar en la playa y darse un buen baño. Many love the swimming in the sea in winter, surfing and such. So very lovely. The water is so gorgeous. Beautiful colours in that sea there. Plenty of sand galloping space on those beaches. I did a racing check and that area of the NSW coastline has race tracks galore so horse racing every weekend. 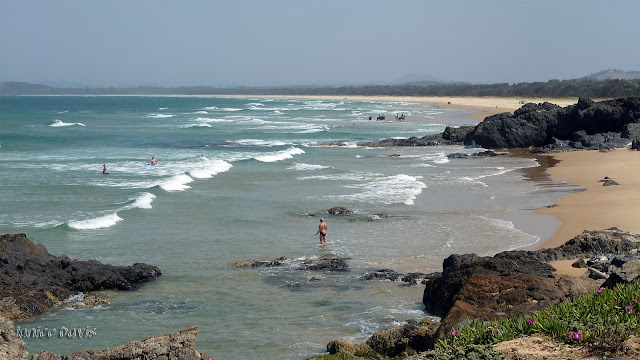 Way back in the early 60's, my family had a beach house at Sawtell. duties(??) so I never even got to enter the front door! It really is a great holiday area........plenty to do on the beach area and up in the hinterland. Oh did they have a beach house there, I expect the houses are homes now and worth a lot of money - so many beach places started off with shacks. Pity you never got a chance to go through the door. Looks like a delightful vacation destination! I like the look of the main street with the huge trees. The beach is gorgeous of course. Do they have sharks and jellyfish there? Stingers and blue ring octopus? 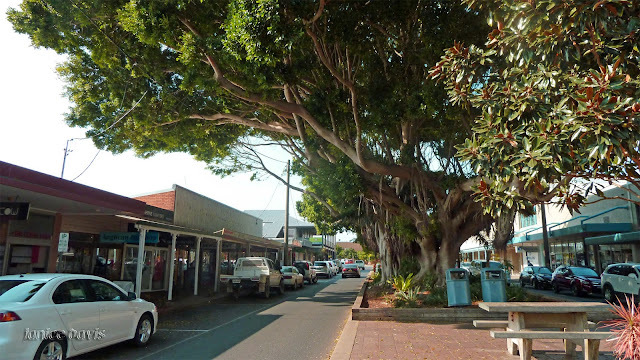 Lovely shady area there in the main street of Sawtell. I should imagine there would be a chance to have those sea creatures there in the summer months. Lovely part of the world my sister lives at Sawtell. Really lovely at Sawtell. One of my cousins his wife and their childden lived there for years..
this is absolutely beautiful harbour my friend!! !